Furniture is more than just a piece of furniture; it is an expression, a statement, a peek into your style personality and the reflection of your preferred house décor style. Sofas are the principal element of furniture in a living room. Having the right sofa is all about making the right statement and that’s why it is important to choose right. Let it echo your aesthetics and personality! After all the living room is the area where guests are entertained, it is an important area, it is the only place that transcends and balances both the public and private and does deserve to be artfully done. Here are a few expert tips on buying the right sofa that will be quite helpful the next time you decide to shop for a sofa. Considering global brands like Pianca furniture India, and Bonaldo India is a great option, as these companies have the best variety of Italian sofas among luxury furniture in Delhi, Mumbai, and other cities. First, it is necessary to take into context a few things. The idea is to design the home furnishings such that they are a reflection of your true personality. Use pieces that are in consonance to your personal style. Statement sofas work great in this respect. Choose a sofa that takes into context two specific and very important issues, comfort and longevity. Along with it, the essential tip is to meet your lifestyle and family needs. The best combination is style and comfort. The idea is to select luxury living room furniture in, especially neutral colors. Other than that the predominance of white is a contemporary style coupled with a minimalistic theme. Single darker colors are more traditional. When your furniture is in neutral colors like black, grey or tan, you can easily alter the feel of your living room by experimenting with the wall colors, or other home décor accessories like pillows etc. Unless you are looking for a loud Italian sofa to make a statement then you can look out for more pop like options or a vintage piece. Keeping the color scheming of your living room walls and the furniture is essential otherwise it will be a case of things gone wrong. 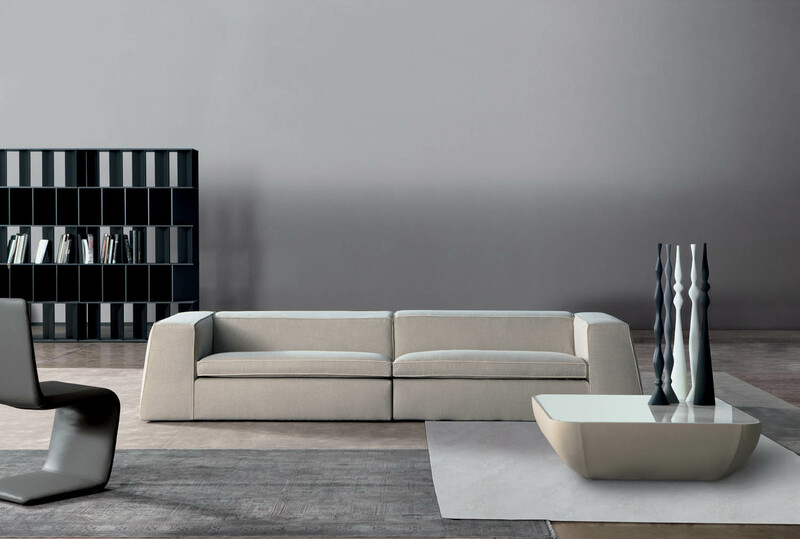 A sturdy frame that seats squarely on the floor which ensures the sofa’s longevity. Make sure the padding of the sofa is done right; the frame and all the corners should be well padded. A padded frame will not stick out through the upholstery and there is less friction with the fabric cover which will keep it in good shape for longer. Whether the seat cushions are firm and resilient and fit snuggly within the sofa frame. A cushion that stays up when you press down will be flattened in no time. Cushions that do not fit snugly in place will lose their shape with the edges looking unsightly. Patterns and stripes should match at the seams. Though missed initially it may give the impression that something is amiss with the design. Only well-matched stripes and patterns give a well-finished look to the sofa. The comfort of the sofa cushions should be the priority. What’s inside the cushions can drastically affect the quality of the sofa. The denser the polyurethane foam core of the sofa, the longer it lasts. The best way to find a couch that is comfortable is to sit on a bunch of different ones and find out the best one. When looking for sofas, the measurement is the key. Consider the room proportions and other furniture in the living room space. The sofa ought to be proportionate to the rest of the space. While considering to shop for your perfect sofa, these tips come in very handy and are even essential. Grandeur has some of the most unique and innovative collections from leading global manufacturers like Pianca furniture India, and Bonaldo India with the best of Italian furniture in Delhi and Mumbai among others. Of the luxury furniture in India, Italian sofas of Pianca India and Bonaldo India in Delhi, Mumbai and other cities are the most sought after. Italian sofas from Pianca India and Bonaldo India etc are known for their classy finishing and comfort. Italian sofas are known for their upholstery that is stylish and surprisingly very comfortable, but the best part is that Italian sofas are equally known to make a statement!